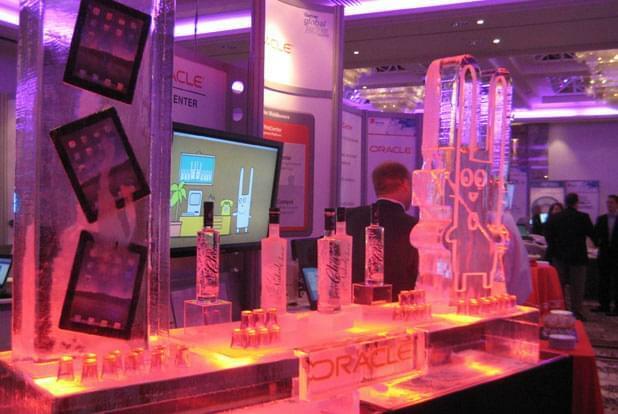 The Creative Brief: To develop cost effective solutions for Ice Bar displays, that would be fast to install and provide branding opportunities, for short sound bite 2 hour events and adapted for longer 8 hour events. To create a point of difference at large exhibitions on the clients stand and reinforce the brand position as innovative and market leaders. 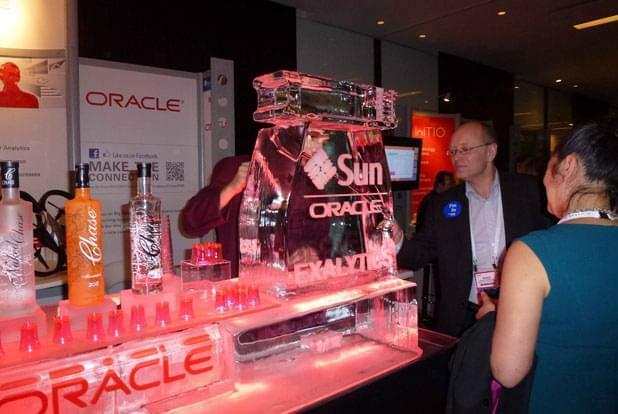 To attract visitors with interactive and original methods of using branded ice features, such as vodka luges, ice glasses & ice filters. Innovative Solution: The Icebox developed a range of designs, to suit the specific requirements and the length of each events. Incorporating themed finishes with replicas of iconic London buildings or client’s computer hardware and mobile technology, each installation presented on plinths with a range of branding solutions. 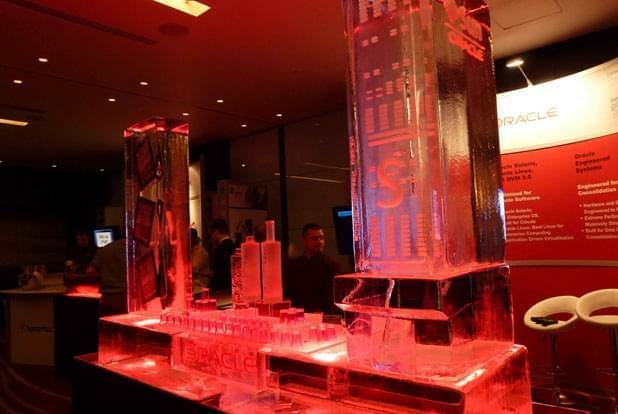 The events where the ice is installed are often part of a major conference or exhibition and timelines for installation and removal are limited. The flexible designs, adapted to each specific event and criteria have been used repeatedly at over 20 events to provide powerful and accurate representation of their branding and engage their target audiences. 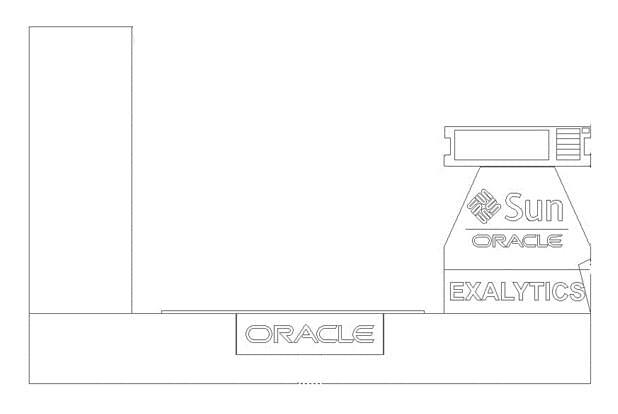 Dynamic Result: The versatility, consistency and excellent value as a successful communications tool has ensured that our clients continue to use the branded ice bar tops for their events.